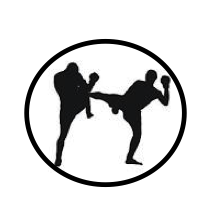 Eke Academy of Martial Arts draws on North American Kickboxing, Goju Karate, Muay Thai, Jeet Kune Do and Panantukan to create a modern and distinct blend of kickboxing called PMK Kickboxing and PMK Boxing. Students will learn to move with grace, speed and power through boxing to kicking ranges, proper, effective and efficient use of a variety of kicks, punches, knees and elbows against pads at early stages and then in sparring situations as a student desires and progresses. Skills learned through kickboxing are effective on the street, in the ring or simply to get in great shape.